Why use us as business valuers and brokers in Brisbane? We are here to take all of the confusion and stress out of selling and buying businesses. Because we understand that the buying or selling process can be an emotional, stressful, and incredibly daunting experience, we’ve got a team of highly knowledgeable and experienced brokers that will turn what would have normally been a time-consuming headache into a smooth and stress-free experience. Expertise in brokerage services and valuations throughout Brisbane is what we are known for, and it’s what we do best. 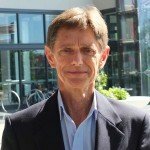 Peter Davison has over 30 years’ experience in company ownership in a variety of industries including cafes and restaurants, a chain of six hairdressing salons, one of Queensland’s largest seafood wholesaling companies, a manufacturing company, import, distribution, I.T. and others, often operating up to three different industries at a time. During this time he has employed hundreds of people in almost every sector including tradesmen, apprentices, trainees, managers and laborers, full-time, part-time and casuals and has dealt with almost every possible issue. 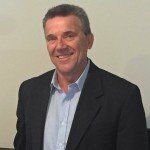 Scott O’Connor has worked closely with business owners since 1994 as a business broker in South East Queensland. He has sold businesses in almost every conceivable category with past buyers and sellers returning to him time and again. Scott previously spent 12 years writing and selling advertising in direct television, radio and newspaper roles. He has a Diploma in Financial Markets and Economics from the Securities Institute. As a practicing business brokerage we have handled the sale of multiple businesses, offering expert valuations to clients across Brisbane and Queensland. During the past year our alone our valuers and brokers we have helped company owners from a range of industries to sell their businesses. These included: law practices, restaurants, cafes, snack bars and takeaways, food manufacturing companies, fruit and vegetable processors, motor vehicle detailing, smash repairs and vehicle sales, import and wholesale distribution, furniture removals, franchises of all descriptions, mortgage brokerage, mercantile agencies, loans portfolios, retail chain stores, building inspections, air conditioning, sign manufacturing and vending machine runs. Sales are achieved in a variety of ways using an assortment of marketing methods and tools to target the most suitable buyers for the particular company (see a detailed description of our marketing methods here). Our methods include direct matching to our purchaser database, newspaper advertising, targeted mail campaigns, regional media publications, national publications such as The Financial Review, Internet exposure, as well as successfully pioneering the concept of the Business Sale by Tender. Our team are professional, reliable valuers in Brisbane. We provide all of the necessary services and support to complete the transaction to the satisfaction of both the seller and the buyer. Our service includes the compilation of all information necessary for the professional presentation of the business, valuations, appraisals, marketing, interviewing and qualifying purchasers, negotiation between parties, coordinating the flow of information between legal and financial representatives, preparation of contracts, troubleshooting and attending settlement if required.